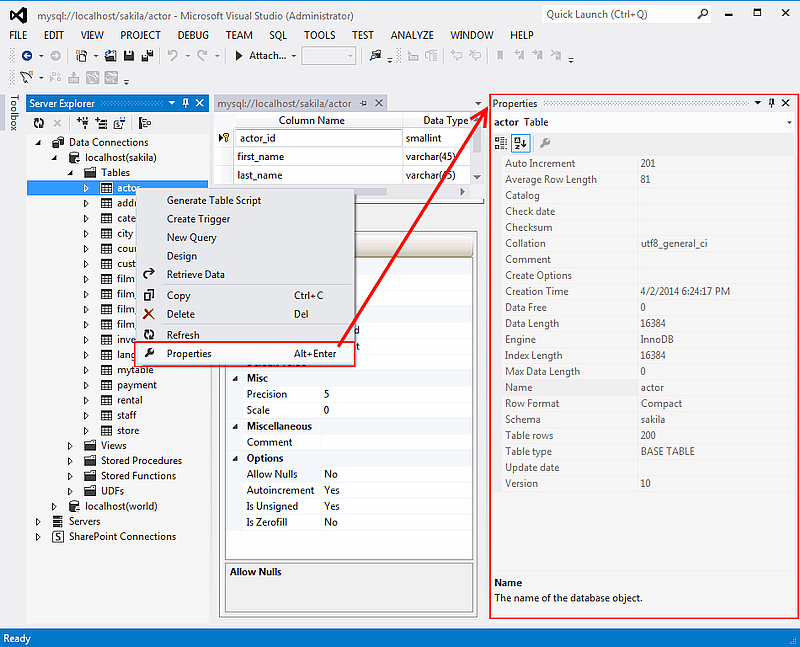 To bring up Table Properties select the table and right-click to activate the context menu. Select Properties. 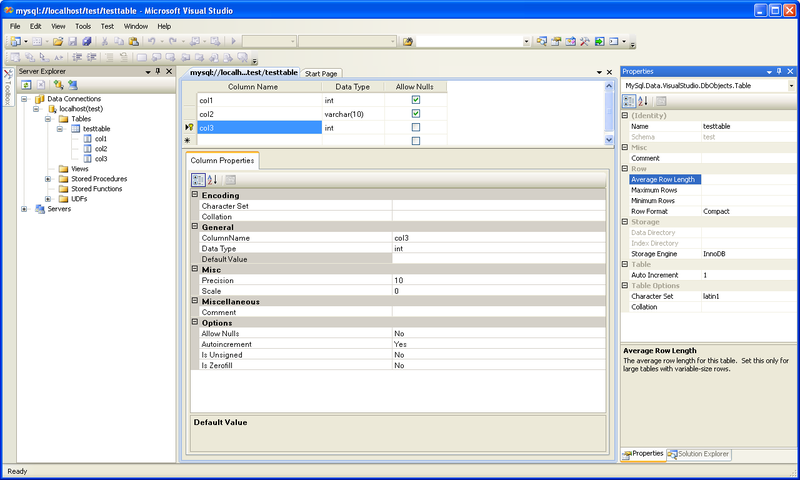 The Table Properties dockable window will be displayed. The following table properties are listed under table properties, and many are fully described in the SHOW TABLE STATUS MySQL documentation. Auto Increment: The next AUTO_INCREMENT value. Average Row Length: The AVG_ROW_LENGTH value. Character Set: The Charset value. Data Directory: The directory used to store data files for this table. Index Directory: The directory used to store index files for this table. Maximum Rows: Value of the MAX_ROWS property. Minimum Rows: Value of the MIN_ROWS property. Name: Name of the table. Row Format: The ROW_FORMAT value. Schema: The schema this table belongs to. In MySQL 5.5 and higher, the default storage engine for new tables is InnoDB. See Introduction to InnoDB for more information about the choice of storage engine, and considerations when converting existing tables to InnoDB. The property Schema is read-only.